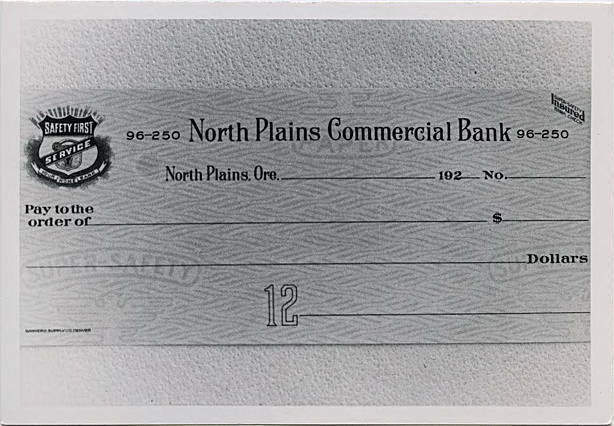 Black and white image of a blank check draw on North Plains Commercial Bank. A shield in the top left corner proclaims 'Safety First' and 'Service', and the date is 192_. The check number appears to be 12.